Keith asked me to marry him. I was 19. He was 21. (Saying that always reminds me of this song.) 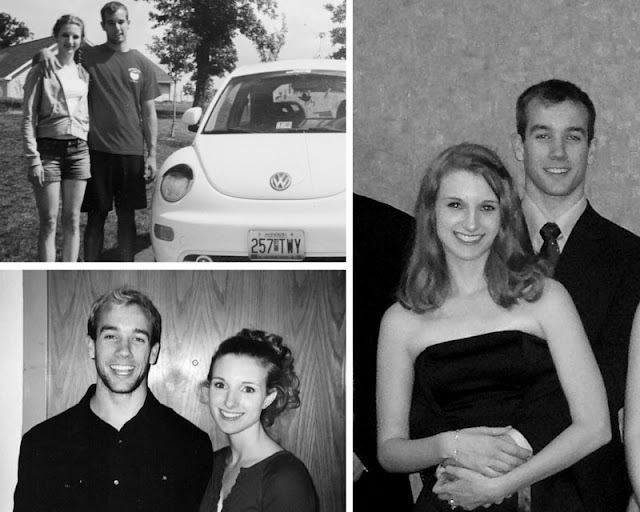 He was getting ready to graduate in the spring, and we didn't have a clue where we would live, or if he would have a job, or where I would finish school, or even what the whole marriage thing was all about. We just knew that we loved each other and couldn't imagine not being together. Can you believe how young we look? I can't. What didn't seem to have much reason at all to succeed has been covered in grace and we have been so very blessed in the seven years since. I am so thankful to be married to such a thoughtful, humble, funny man. He knows me to my core and still loves me. My best friend in every way. Happy engagement-versary, honey!